THE HAGUE (Reuters) - Many leading backers of the International Criminal Court will ignore Israel's call for them to cut funding in response to an inquiry into possible war crimes in the Palestinian territories, officials told Reuters. The continued support from countries which provide more than a third of the court's cash, including Germany, Britain and France, averts the risk of paralysis at the world's first permanent war crimes tribunal. The already financially-stretched court in The Hague - set up to hold to account leaders responsible for crimes that go unpunished at home - could have been unable to pay salaries. It would have struggled to move ahead with cases such as those against Kenyan Deputy President William Ruto, former Ivorian President Laurent Gbagbo and Ugandan rebel commander Dominic Ongwen. Prosecutors incurred Israel's wrath this month when they said they would examine any crimes that may have occurred since June in the Palestinian territories, opening a path to possible charges against Israelis or Palestinians. 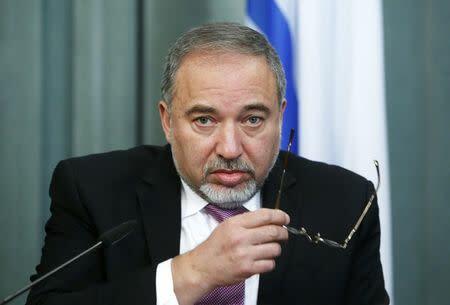 Israeli Foreign Minister Avigdor Lieberman said the country was lobbying states to cut funding to what he described as a political body. He and other Israeli officials said their efforts would target Germany, Canada, Australia and Japan. While few of the ICC's 122 member states welcome the diplomatic complications of a case dealing with the politically-loaded Middle East conflict, many of the biggest financial contributors said they would maintain their funding. The bulk of the court's 141 million euro ($158 million) annual budget comes from the advanced economies of Europe and North Asia. More than half comes from the top seven donors. The German government - the second-largest donor, contributing about a 10th of the ICC budget in 2014 - said it "couldn't imagine" cutting funding. French, British and Italian officials, representing the court's third, fourth and fifth largest contributors, told Reuters their governments would not change policy. Canada, the seventh-biggest donor whose foreign minister was pelted with eggs for his country's pro-Israel stance in a recent visit to the West Bank, also said it was not reviewing its funding in light of Lieberman's request. Japan, the top donor having given 20.4 million euros in 2014, and Spain, ranked six, declined to comment. "The countries that support the court will continue to support the court," said one European diplomat, who spoke on condition of anonymity because of the sensitivity of the matter. "We respect the independence of the court and the prosecutor." An ICC spokesman said it expected all member states to continue to fully cooperate with the court and act according to their obligations under the treaty that established the body. "Protecting the judicial and prosecutorial independence of the ICC is critically important," he added. That many of the states are Israeli allies complicates matters. But backing away from the court, regarded as a successor to the Nuremberg trials of Nazi leaders after World War Two, is anathema for many members. "Part of Germany's support for the ICC is as a way of atoning for the fact that, 70 years ago, their country was a perpetrator of the kinds of international crimes the ICC is meant to deal with," said Kevin Jon Heller, a professor at London's School of Oriental and African Studies. Even so, the 12-year-old court is financially strapped. Its caseload, already including six African inquiries, is growing while member states are unwilling to significantly up contributions as many face economic problems at home. There is very little slack - redundancies were made last year to create more positions focusing on the caseload and legal aid budgets have been slashed, prompting complaints from defense lawyers. The budget will be stretched further by the unexpected arrival last week of Ongwen, which could force prosecutors to dip into a contingency fund. As it stands, the tribunal is unlikely to have the resources to be able to closely investigate the Israeli-Palestinian conflict in the next three years, a former prosecution lawyer told Reuters, speaking on condition of anonymity. The Office of the Prosecutor at the ICC said there were "no timelines" for how long a preliminary examination would last. The inquiry comes after the collapse of a high-profile case against Kenyan President Uhuru Kenyatta in December. Prosecutors dropped charges of crimes against humanity due to lack of evidence and said they faced insurmountable state obstruction. "The prosecutors are getting themselves into a similar case as Kenya and at the end of the day the case is not going to be effective if Israel doesn't cooperate," said another diplomat. But some legal experts said Israel would be wise to cooperate with the preliminary examination, which determines if crimes are serious enough to fall within the court's statute and have not been investigated already. If Israel were to conduct credible criminal investigations into possible crimes committed by its forces, the court would not launch a parallel case. But for Israel, even that could be unpalatable, with a former military lawyer saying that few officials would be comfortable filing domestic charges to prevent an ICC trial. "Our soldiers will say we are prepared to risk death but we are not prepared to be treated as criminals."